This Irish wine bottle cover from The Irish Gift House would be fun at St. Patrick's Day or at any festive get-together . The black polyester wine bottle cover is embellished with shamrocks and says Irish at Heart. 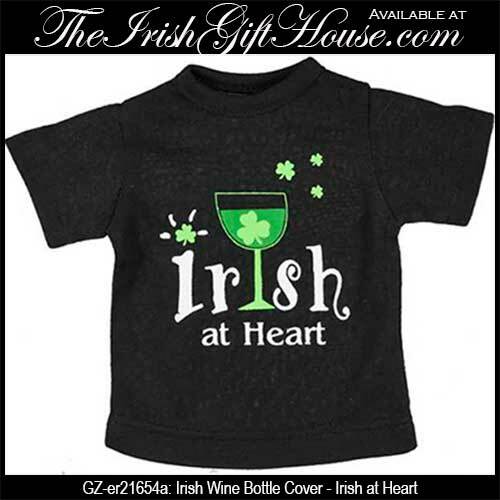 The 6 1/2" tall Irish wine bottle cover is in the shape of a mini t-shirt and will fit most wine bottles.